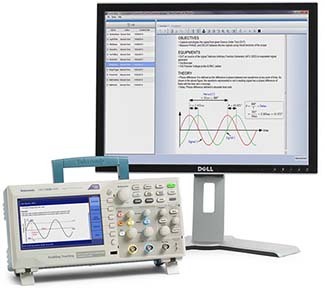 With your purchase of a TBS2000 or TBS1000B-EDU Series oscilloscope, you've taken the first step in creating an environment that makes it easier to develop and distribute lab material to your students. Come to this site to find new ways to enhance your hands-on teaching and learning. Feel free to download posted labs for inspiration and provide comments on content you've used. When you’re ready, you can share your own labs with our global "courseware" community.